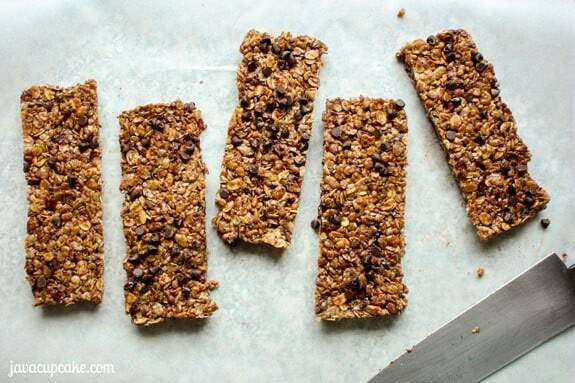 Sweet and chewy, these cherry chocolate chip granola bars make the perfect snack for any deploying soldier! This weekend is going to be pretty hard for me. There are a lot of things happening that are out of my control… things I do not want to do, but have to. Things that will change my life forever. It’s hard for me to handle… not being in control of the things in my life. 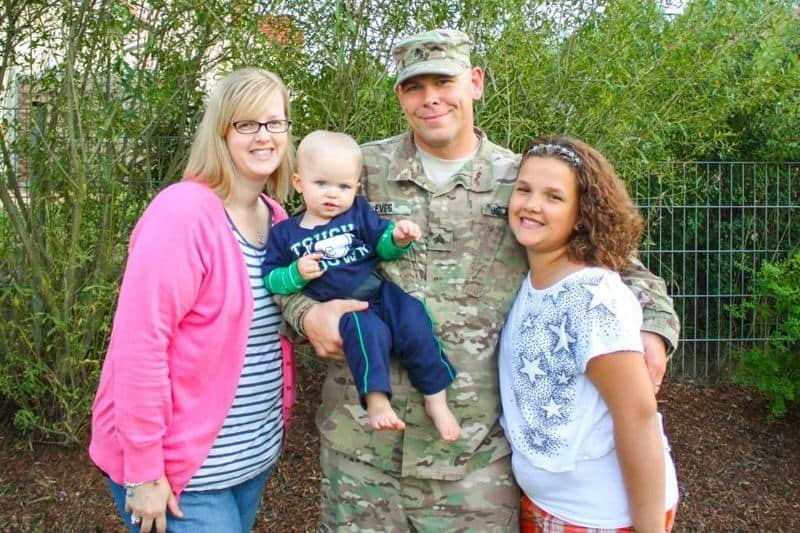 See… my husband is leaving for Afghanistan this weekend. His third deployment. His third time putting his life on the line for a country he loves. For me… it’s my third time having to watch the love of my life walk away… possibly forever… shattering my heart into a million pieces. I was trying to explain to someone the other day what it felt like this week leading up to his deployment and said this… My heart is breaking into a million pieces and it’s happening slow motion. I can see everything playing out in front of me… my husband packing, getting ready, my love preparing to leave me… but there is nothing I can do to stop it. So, I do what I can. I do the things I can control. And in my world, that’s baking. I’m putting together two dozen care packages for my husband and his soldiers to bring with them on the plane ride to Afghanistan. I can control that. Right? In the care packages I’m including a bottle of water, my Perfect Chocolate Chip Cookies, Espresso Brownies (a recipe I adapted from CakeSpy’s book The Secret Lives of Baked Goods), Peanut Butter Chocolate Chip Granola Bars and these Cherry Chocolate Chip Granola Bars! 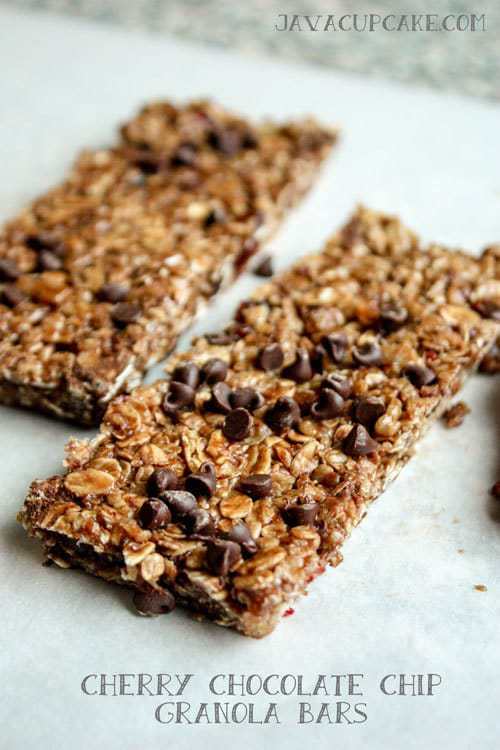 The recipe I used for the granola bars is originally from the Fearless Homemaker… but I mixed it up a bit and added dark chocolate cherry muesli and chopped dried cherries to the mix! YUM. True courage is being afraid and going ahead and doing your job anyhow. That’s what courage is. I wanted to let them know that it was okay to be afraid, but that they are strong enough to push through the fear, do their job and come home safely to their friends and family. FREE PRINTABLE: Click HERE to download a blank copy of the name tags I used. Click HERE to download a generic version of the “You Will Be Missed” tags I used. These bags were super easy to put together. I used brown paper lunch sacks, red and white curling ribbon, red and blue card stock, a hole punch, scissors and glue sticks. Print enough tags for each soldier. Use Photoshop to add names to each tag or hand write them on. Glue the tags to card stock and cut out along the edges. Fill each bag with goodies. Fold over the tops of each bag and punch two holes in the top. Punch a hole on the end of each tag. Push a red and white ribbon through the holes and tie in a knot. String the tags onto one of the ends of the ribbon and tie securely. Curl the ends of the ribbon. So… this will be my husband’s 3rd deployment. One might think it’s easier each time to say goodbye. So… I bake. I create. 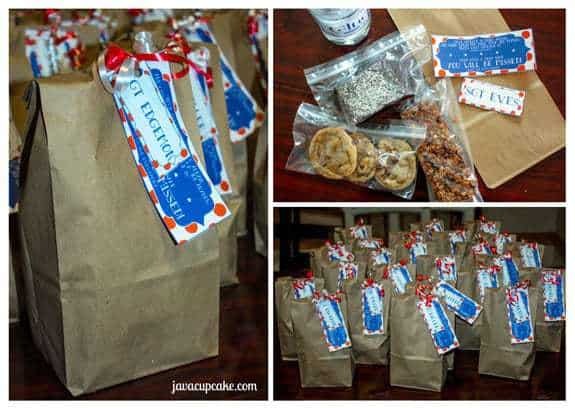 I put my love into making care packages for these soldiers. Because that’s the one thing… the only thing… I have control over in this process. To my husband… I love you. Please, come home to me. Spray a deep cookie sheet or jelly roll pan with cooking spray. In a very large bowl, mix together the quick oats, muelsi, crispy rice cereal, chopped cherries and semi-sweet chocolate chips. In a medium pot over medium-high heat, melt the butter. Add the honey and brown sugar and whisk until smooth. Bring to a slow bubble for about 2 minutes or until the sugar has completely dissolved. Remove from heat and let stand for 1-2 minutes to cool slightly. Slowly pour the warm mixture over the oat mixture in four parts. Fold/stir with a wooden spoon or spatula after each addition until none of the mixture is dry. Do this part slowly to ensure that all the oats are completely covered. Press the mixture into your prepared cookie sheet. Using a large piece of wax paper, press the mixture firmly into the pan, making sure it reaches the edges and corner. Use a lot of pressure to make sure you really push it into the pan. NOTE: If you don't push hard enough, your bars will crumble when you cut them. So, don't be afraid to use a lot of pressure! Sprinkle mini chocolate chips evenly across the top and press into the bars. Allow to sit at room temperature for at least 2 hours before cutting into bars. Store in zip lock bags or a container with a lid at room temperature. My thoughts and prayers are with you, your soldier. and your family. I can only imagine what you are going through. Keep on baking!!! I gave you a shout out for my post on Fresh Raspberry White Chocolate Muffins, the Best Muffins ever! I love love love all of your recipes! Have you ever considered doing a cookbook for retail sale and print?